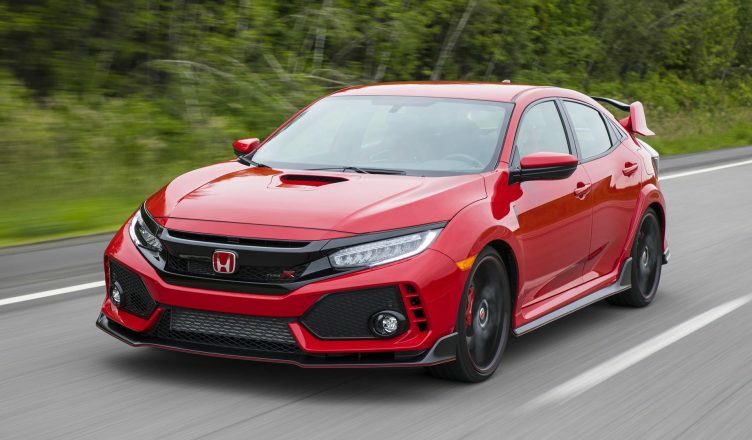 The Honda Civic Type R is the hot hatchback and with a little bits of history we all know that it has always been a sleeper car but not anymore because the 2018 Type -R is literally is a civic in a body kit, The Type-R is actually the best looking hatchback in the whole segment, it has the sickest and aggressive look, sexiest interiors and offers next level performance. It is a track car which can easily handle daily commutes. Despite being a performance-focused car it has pretty good ergonomics and awesome practicality. It has a starting price of $34,700 and is only one of the kind, in the current car market, the Type–r confidently competes against the VW Golf GTI and the Ford Focus RS. Being a four-door touring hatchback it is holding its ground pretty well but also featuring extensively designed exterior takes away the simplicity of a family hatch. Under the highly designed body sleeps a turbocharged four-cylinder engine producing 306 hp and 295 ft.-lbs of torque and can do 0-60 mph in round 5 secs. The powerhouse is coupled with a 6-speed manual transmission but, it has a front wheel drive train which keeps the power delivery pretty linear and car quite stable but at the same time it takes the fun of a hot hatchback, but that’s not the case here. Yes, not being a rear wheel drive means no burnout, no drifts, and no sliding just straight drive which also makes the manual transmission feels useless but the balanced power output, extreme responsive steering, variable drive modes, and highly engineered body makes it fun to ride. Well, it also has a V-tech variable lift on the exhaust camshaft instead of inlet camshaft which takes away the V-tech kick but reduces the turbo lag. The Honda Civic Type-R has the sportiest looking interiors in the whole segment, it has dual toned red and black accent interiors which follows to the digital instrument cluster and infotainment system. Starting with specs it features a multi-function power steering wheel, tilt-telescopic steering, climate control, dual-toned 6-way manual driver and 4-way manual passenger seats with split-folding rear seats, rear-view camera, keyless ignition, and a fully loaded infotainment system. As for the practicality, it is quite spacious, has plenty of storage and can easily fit 5-adults, and the ergonomics well they are even better than the Focus RS. It is not only just comfortable, the moment you get in and buckle up, but it’s also a different world inside. Sell your car and get this right away! As mentioned above the Type-R actually has the sickest looking exteriors in the whole segment, it is so highly engineered that every single curve, vent or hood in this car has its applications, the roof is featured with vortex generators to increase the down-force, even under the car it is flat to smoothen the air flow. Honda also claims that the Type-R is the only car of its type to create negative lift at high speeds. Other than the designing, let’s talk some dimensions, the Type- R is 179.4 inch. long and 73.9 inches wide with a body height of 56.5 inches and 106.3 inches of wheelbase, which makes it a big hatchback which means more space and better cargo capacity. Well, the Type-R is not only fast or comfortable, or practical but it is also pretty safe especially from a family hatchback point of view. It comes standard with front, rear and side-mounted airbags, 4-wheel abs system, stability control, traction control, DRLs, emergency braking assist, post-collision safety system, passenger airbag occupant deactivation, remote anti-theft alarm system, and engine immobilizer and, many more. The Honda Civic Type-R is a performance-focused touring car, a hatchback which has the might to light the tracks on fire but has the capacity to be a family car. Its ergonomics, practicality, comfort, and functionality is on par with that of Ford Focus. Well, the Golf GTi and the Focus both are amazing hatchbacks and better than the type R in some aspects but when it comes to overall performance they are no way near.